Disney World is a once in a family lifetime trip. It’s that trip the kids dream about and that us as parents want to give them. There is just one little problem. The cost. 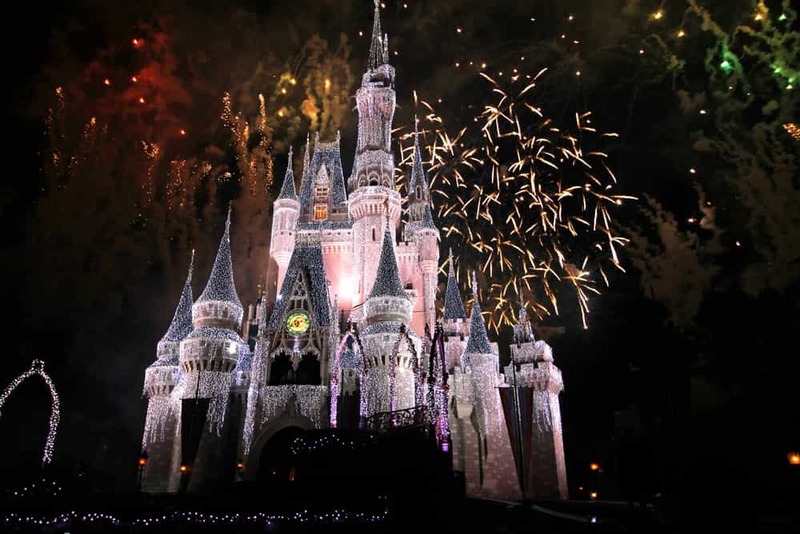 How much does it cost to go to Disney World? 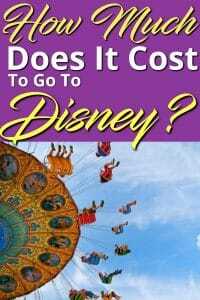 The answer will depend on your situation but I will break out the costs involved in staying at a Disney World resort. Previously, I budgeted $10,000 for our family of 4 but you could do it for less. It all depends on how you want to do your trip. But as you will see the average family can do 6-7 days for a lot less than that. Is it Better to Rent a House or Stay on Resort in Disney World? Which is Better Meal Plan or DIY? 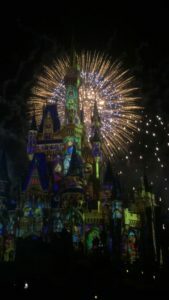 What Does a Disney World Trip Cost? The Results Are In! The first cost is going to be transportation. How do you plan on getting to Disney? Will you be flying? Doing the family road trip like Clark Griswold? There’s a few different ways to get there. We use Hotwire for booking our flights. It’s usually the best way to find competing flights. I’ve also used Cheap Flights for some of my flights and had some good success there too. Check out flight prices with Hotwire. Average flight per person $400-$600. This can vary wildly depending on how quickly you want to go, so plan early! The next part will be where you are staying. There are 3 options you can choose from. We did 2 of them and as you will see the costs was pretty close. This will tie into your Disney transportation as well. If you are staying on resort you can usually find something to fit your budget. The nice thing about staying on the resort is that everything is handled for you. You have restaurants, and can order food from Garden Grocer before you arrive. So you have some more affordable food options in your hotel room. We did our whole package right through Disney World but others I know have used other methods and save money. Either way budgeting $120 a night to stay on resort is likely a safe bet. Campgrounds – starting at $55 a night. Value Resort Hotels – starting at $110 a night. Moderate Resort Hotels – starting at $204 a night. Deluxe Resort Hotels – starting at $345 a night. Deluxe Villas – starting at $385 a night. Picking one is largely going to be based on your level of comfort and your budget. If it’s your first time at Disney World you will likely be in your room a minimal amount of time. Value Resort Hotels start at $120/night though sometimes you can get a better deal through Undercover Tourist. The other option is staying at a close by hotel. If you are looking for a hotel offsite, there are plenty. The key is to find something that offers good shuttle service to the parks. Normally when we book hotels we use Hotwire (in case you haven’t noticed we really love Hotwire!). They give you great hotels and discounted prices. For this trip you would need to make sure that they are in the right area. The reason for the deep discounts with Hotwire is that you don’t know the hotel name you are booking until you pay. Using Hotwire in the past, we have gotten some great deals. Things like a 4 star hotels for the price of a 2 star or saving 50% off a hotel like Delta and Sheraton. There are some great deals and you will know most of the details about the hotel (except the name) before you book. Hotwire tells you the amenities, services and reviews from recently stayed guest are all provided to help you decide if it’s the right hotel for you. It can feel like a bit of a gamble but it can be a great way to save money. Renting a house close to Disney World has it’s benefits too. We rented a 4 bedroom home close by the park for $100 a night. There was a pool, which was really nice to come home to after a long day in the heat. We found our place on HomeAway (part of the VRBO company) and it was a decent place at a decent price. As far as which one is cheaper, it’s a toss up. Staying at a Value Resort in Disney World has a lot of benefits. You don’t have to rent a car, transportation is all taken care of (as the driver in the family I have to say it was a nice change of pace). Don’t Forget to Add In Transportation Costs! The big difference in renting a house is that you will need transportation every day. So even though the house may be cheaper than the resort, the extra costs of a rental car and parking at the parks every day will eat away at your savings. But it’s about the same cost once you factor in daily parking, car rental, gas and insurance. If you were able to split a house with another family, it would be cheaper. Or perhaps you want to check out other parks, or head to the ocean. It’s a lot easier in a house. The one last thing I will say about a home rental was that it as nice to have the extra space. Staying in a HomeAway house rental, you have more freedom. Being in a value resort for a week is ok, but anything more than that would feel really tight. You don’t spend that much time there (nobody goes to Disney World just to sit in a hotel room) but still the hotel rooms are a small area. Another feature we loved about the house was being able to do our laundry. Just one other consideration if you were to stay for a few weeks. Having done both I would pick staying at a Disney World Resort if it was under 8 days and just our family. If we were travelling with other people or staying for a longer time, I would rent a house again. You can check out the listings on HomeAway here. With Disney World there are two options when you stay on resort, buy a meal plan or pay as you go. We did the meal plan. Though we may not have maximized the value (my son decided to have a marathon Mac and Cheese series of meals on the trip) , I must say it is nicer to have your food paid for up front rather than digging into your wallet every day for money. If you are staying off resort the food will be cheaper. The type of trip is a different kind but you are able to have more variety and freedom than what Disney offers. You will also have to set aside time to go shopping, make food and clean up. Just a few other considerations. Having done both, I would do the meal plan again. The second tier one (2 snacks, 1 quick service meal and 1 table service meal each day) was great for our first time. We booked all our character meals 180 days out and were able to avoid wanting in long lines to meet characters throughout our days in the park. To me, this was a huge value of the meal plan. Otherwise we would have spent a couple of hours every day meeting different characters that we saw included in our meal plan. The time savings alone was worth it. Plus you get to eat at some pretty cool places. Dining in the Magic Kingdom Cinderella’s Castle was super cool. Disney also offers discounts on their meal plans through out the year so keep an eye out for them, or check out Undercover Tourst. We used them a lot on our trip and they are super helpful and a great resource. The dining plan for an adult starts at around $48/day for the Quick Service package and goes up from there. The next cost is your theme park tickets. There are a few different ways to get your tickets online. We used Disney because we were going through their package. A couple of things to note, kids 10 and older are considered adults. The price of the park goes down greatly the longer you stay. We just did the basic 7 day package then increased it to 10 days once we were there. They offer a park hopper pass, but if you are there for 7 days then I would focus on making the most of one park every day, rather than spending more time commuting between two parks. 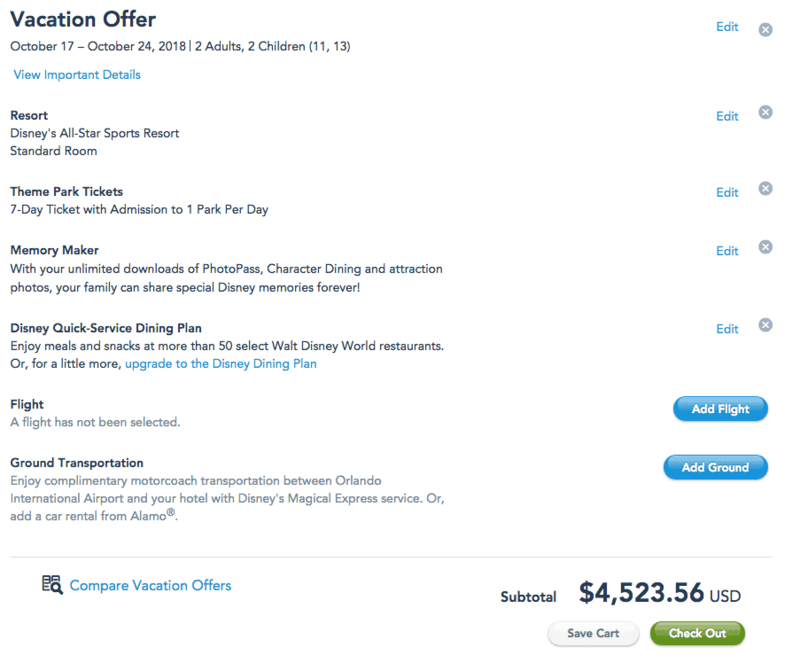 Disney Hack: If you want to save money you could get the 10 day 1 park per day pass for $440, that would give you an extra 3 days (if you are staying 7 days) to go to a separate park as opposed to using the park hopper option which for 7 days is $485. Just a thought. Check out Undercover tourist for your best ticket prices. If you aren’t driving to Disney, you will need to figure out how you are getting around. If you are staying at a Disney World Resort there isn’t much to worry about. In fact, if you stay in Disney World the whole time your transportation costs are $0. Disney makes it very easy to get around. From picking you up at the airport to going to and from the theme parks and Disney Springs, they are your chauffeurs for the week. If you are flying and renting a car, I would recommend renting a car using Hotwire. You don’t know what specifically you are renting, but you know the main parts (shuttle to the airport, cost, transmission, unlimited mileage etc…). We have used this for all our car rentals and have always been impressed. The savings can be over 50% from renting directly from the car rental agency. It’s definitely worth checking out. We got our car insurance before leaving and it was very cheap compared to what was offered by the rental car company. Check out Hotwire car rentals here. Daily car package (including parking, rental, insurance, tolls and gas) $50/day and up. I wasn’t too sure about this at first, but it turned out to be the best thing to buy. My phone acted up on our trip so these photos were priceless. See! Doesn’t…..doesn’t that… doesn’t that look like fun?!? See all the fun I’m having. 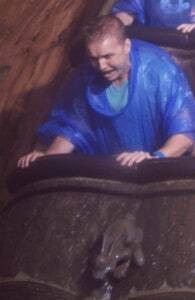 Ugh.. my stomach turns when I think about some of those drops. But at the same time I want to go back and do it all again. The memory maker package also makes some great 10 to 60 second videos from your photos that are pretty cool. If you book it at least 3 days in advance you can get some good savings on the package ($30). Well worth it in my opinion. The Memory Maker is $169 if you buy it in advance or $199 if you buy it at the last minute. We got about 200 pictures and videos from it. You aren’t allowed to bring selfie sticks into the parks so you may want to factor that into your decision. This is completely up in the air. If it’s your first time at Disney you are likely going to want some souvenirs. There is no shortage of places to get them at the resorts and hotels. You will be likely want to include some spending in your budget. Personally I budgeted $50 a day and came nowhere near that some days. That said I’m frugal and I could easily see myself spending a lot more if I had the room in my suitcase. Other than that Disney has a bunch of extras you can buy. From private tours to excursions, they aim to give you a trip of a lifetime and that is exactly what you will get. We didn’t do any of the extras but it’s a good idea to budget for whatever you want to do. If you go for one week with a family of four, here is how it breaks down staying at a Disney World Resort Hotel. This is $169 if you book in advance, it’s worth it. Complimentary for staying at the resort. The only thing missing is flights – Average price $500 total family cost $2000. Beyond this is how much you spend while you are there on souvenirs and other items to bring home. Of course this price will range when you travel in the high season but it gives you a good idea. There you have it! By the end of your trip to Disney World your costs can be anywhere from $6600 and up depending on how you decide to do Disney. Did you find this helpful? Share it and help others find it! I’ve only been to Disney world once in my life from what I can remember. Reading this really makes me appreciate all that my parents had to go through to get my sister and I there for the time of our lives lol. I’ll have to return the favor one day. Do you have any advice for saving up for a trip if you’re just one or two people? I hear you I totally appreciate what my parents went through to get me there as a child. I think the best thing to do is to start putting away some money right away in a separate account. We budgeted 10K for the trip for 4 people, but could have done it for less. Saving for it will depend on your timeline. But the best thing we did was have a separate account and automated our savings into it. Plus if we ever had extra money we would stash it away in there.